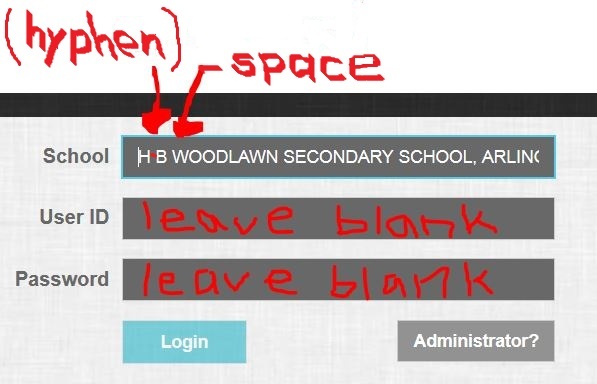 If you make use of the MackinVia App, input “H-B Woodlawn” into the field for “school.” The drop-down menu will offer you the name of our school to select. Press login AGAIN on the next Mackin screen. Pause and wait. 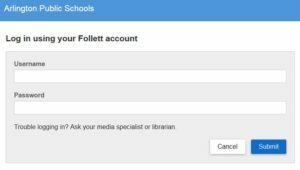 If you continue to be prompted by three empty fields, input your One Login where they ask for User ID and Password after supplying school name. You will next view the Follett prompt that is pictured below. Use the “three lines menu” (also called the “hamburger menu” in upper left hand corner to display the databases alphabetically. Best to use Mozilla Firefox or Safari as your browser, but it might also be fine on Chrome. Go to the “Access APS one login” screen and click on the link to MackinVia. 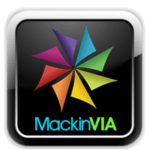 It is possible that you will encounter a MackinVia login with three fields. Try applying “H-B Woodlawn” in the top field and select our school’s name when it appears as an option. 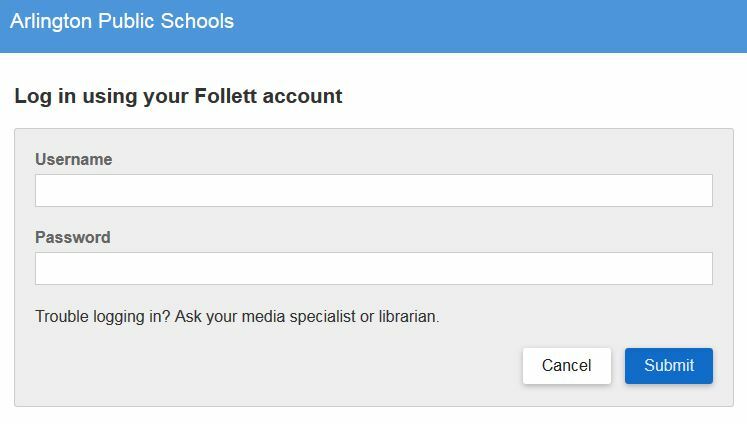 Pause, then it might go straight to the Follett login shown above. If it does not proceed beyond the 3 fields MackinVia login gives you, supply H-B Woodlawn and also your usual one login to the User ID and Password fields. Databases are linked inside MackinVia on the left menu. Click there to find the databases listed in alphabetical order. Our list of databases is so long, you might need to click to a second page to see the end of the database list. REALLY IMPORTANT: Note that the “Gale databases” link opens an enormous list of specific databases that might support your process of research. Chrome users might need to “clear their cache/history” and start over if Gale or any other database provider prompts for a password. Please contact the librarian if this access does not work. Send a screenshot of your problem to margaret.carpenter@apsva.us for trouble-shooting. 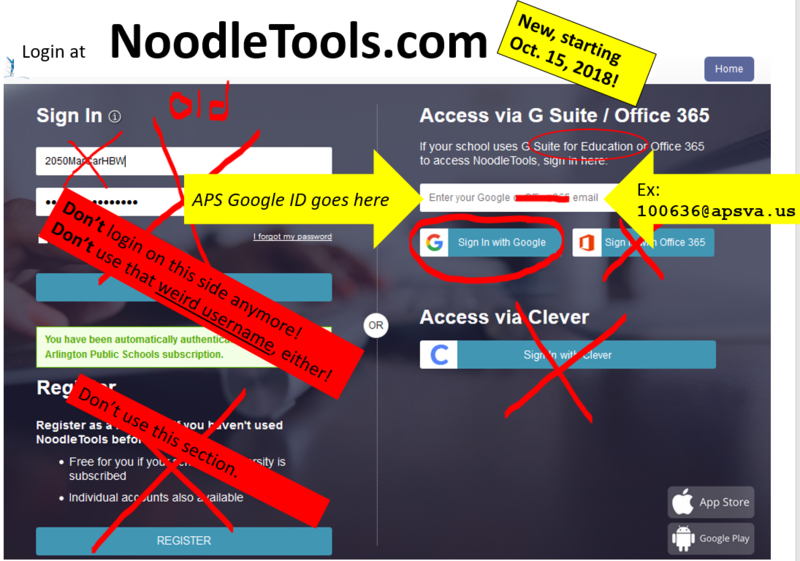 Beginning Monday, Oct. 15, 2018, we will end the use of NoodleTools accounts that required the old usernames (pictured on left of the image below.) All of your data for old projects will be rolled into NEW ACCOUNTS when you follow the steps to log in using your APS Google ID which is StudentID#@apsva.us. See yellow portions of the right side below. 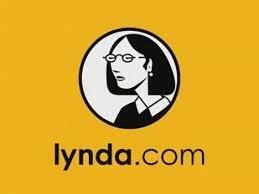 Arlington Public Library has additional popular databases at their “Research Portal” link. A library card with pin number is required. Practice for standardized tests and career advice found in the Testing and Education Resource center.